This week one of my favorite microsavings apps, Digit, announced that they would not longer be a free product for their users. They emailed existing users about a new $2.99 monthly subscriber fee that they were going to charge for using their service. I love the service that Digit provides. They allow users to automatically save money in small increments over time based on an algorithm that includes their checking account balance and a variety of other factors. 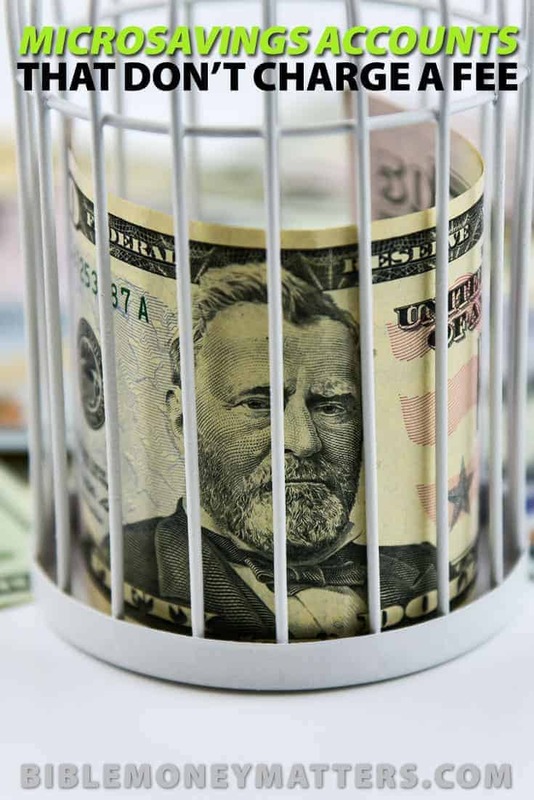 The small amounts saved add up to larger amounts over the months and years, and the way they do it means that you're unlikely to really miss any of the money. At the end of the month you'll often be surprised to see $500-$600 sitting in your account. Digit Can Help You Save, But At What Cost? I used Digit in a free automated saving and investing trial that I created called the “Digit and WiseBanyan Experiment“. Over the year that I did the trial Digit helped me to save over $4500 – almost completely funding my Roth IRA for the year! I think some sort of fee isn't completely out of line for the Digit service, but I think the way it was introduced, along with how much the fee was left a lot of existing users with a sour taste in their mouth. They did increase the annual savings bonus that they give to users from 0.2% to 1%. That 1% bonus doesn't amount to much when you break it down, however. The bonus is paid out every three months, so if your average daily balance is $3,600 over three months, you would get a $9.00 savings bonus. So in order to offset your $2.99 monthly fee to use Digit, you'd need to maintain an average daily balance of around $3,600 for the year. For the average Digit user, who according to Forbes saves between $80-$170/month, that's not going to happen. With the announcement of the new fee for the Digit service, a lot of users have decided to cancel their accounts. Digit isn't the only game in the micro-savings business, and quite a few of those services that are still free for their users will be chomping at the bit to sign up new customers. Today I thought I'd look at some of the alternatives to Digit that can help you to automatically save in small increments, and that won't be charging a monthly fee anytime soon. Let's take a look. Before you sign up for a new service, you'll probably want to close your existing Digit account first. If you're an existing user of Digit you have 100 days of grace period from the announcement (4/11/17) before they'll start charging you the $2.99 fee, so you don't have to do it right away if you don't want to. For all new users the fee is already in effect. When closing your account they'll ask you for a reason that you're closing the account. If you're closing because of the fee, don't be afraid to let them know. I know they're tracking user concerns with this change, and if they see enough account closures they may reconsider the fee, or try to find other methods of making money. There are quite a few microsavings accounts and apps available these days. Today I want to look at a few of my favorites. 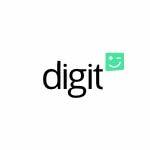 In choosing these companies I wanted to choose services and accounts that are similar in some respect to Digit, in that they allow you to small save amounts over time in order to reach larger goals. While I don't think any of them do exactly what Digit does, they can be setup to help you to save a similar amount of money. So without further ado, here are some free microsavings accounts that you may want to give a try. Qapital is a free banking app for iOS and Android that helps people to automatically save for their goals by setting up rules that turn “everyday habits and guilty pleasures into opportunities to save – without even thinking about it“. To sign up for Qapital you just download the app, create a profile and link it to your existing checking account. Next it will ask you to choose your savings goals, things like saving for a down payment for a new house, saving for a vacation, or saving for an emergency fund. After setting up the savings goal(s) of your choice, you setup rules to trigger deposits into your Qapital account. You can have it trigger savings by doing things like rounding up any card purchases, having automated daily, weekly or monthly transfers or charging yourself for guilty pleasures (save every time you stop for coffee). One thing I really like about Qapital is that you can link your account to your existing IFTTT account. IFTTT (If This Then That) is a site that allows you to set triggers using your devices and services, to create certain behaviors if something else happens. For example, if getting fit is something you're working on right now, you can link your Qapital account to your FitBit, and if you reach a certain number of steps for the day, you can have it trigger a savings deposit towards your vacation goal. Need to encourage yourself to visit the gym? You can have it do a deposit every time you visit the GPS location of your local gym. Saving for some new skis? Link Qapital to Weather Underground, and have it trigger a savings deposit towards your “new skis” goal every time it snows. For me, I plan on linking Qapital to my Amazon Echo, to have it trigger a savings deposit every time I speak a key phrase to my Echo device. The possibilities for saving money based on behaviors and activities, are endless. It really comes down to your own imagination. Read my full Qapital review here. Get a $5 bonus to your new account by using this Qapital sign up link. The Dobot app is a free automated savings app that launched a few years back. The premise behind the app was to create an account, link your checking account, and then the Dobot app would automate savings in small amounts, regularly throughout the month. It would figure out what your regular daily balance is in your checking, and save in small amounts that won't overdraw your account. You can setup as many time based savings goals as you want. So let's say you want to save a $1000 emergency fund. You can tell it you want to save that $1000 by February of next year. Once you set the goal it will try to save throughout the year in order to reach that goal by your deadline. At one time Dobot added a fee for their service, and a lot of people dropped the app at that time. 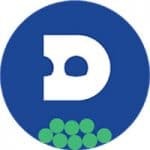 In January of 2019 Dobot re-launched after being bought by Fifth Third Bank, and once again they're a free app for all to use, and highly recommended. I have an account and love it. Read my full Dobot App Review here. Get a $5 bonus to your new account by using this Dobot App sign up link. 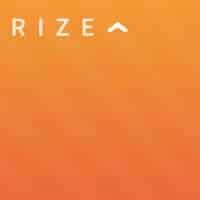 Rize Money is a microsavings account that was launched in early 2017. Their site currently doesn't have an app available, but they have plans to release one at the end of 2017 and their site is mobile friendly. The site allows you save small amounts of money by linking your existing checking account, and then setting up savings accounts for specific goals. So for example, you could set one up for your $2000 emergency fund, one for a vacation you're taking, and one for your child's braces. In addition to goal based savings accounts that you fill by saving regularly scheduled amounts, their site also has special “savings power ups” that help you to increase your savings amounts. Their “accelerate” power up helps you to increase savings by increasing the amount you save by 1% every month. Their “boost” power up helps you to increase saving small amounts every week when it makes sense based on your account balance and other factors. It may save anything from pennies up to $5 or 5% of your monthly savings (whichever is lower). 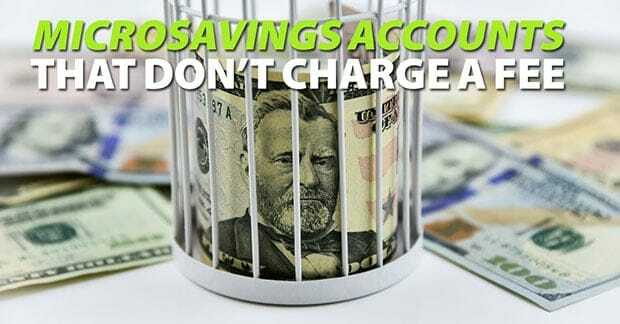 Rize Money also has the added benefit of paying one of the highest interest rates for any of the microsavings accounts at 0.91% APY at the time of writing. Read my full Rize Money review here. Get a $5 bonus to your new account by using this Rize Money sign up link. Chime was founded to help encourage users to make better financial choices, like saving more money. When users save more, they are rewarded by Chime with weekly bonuses. When you sign up for a Chime “spending account” (like a checking account) you'll receive a Chime Visa® Debit Card that you can use wherever credit cards are accepted. The debit card is linked to your spending account. When you use Chime Visa they will round up every transaction you do to the nearest dollar, and put the difference between your transaction and that amount aside in the linked Chime savings account for you. So if you spend $1.50, it'll round the transaction up to $2 and put $0.50 difference into your savings. At the end of the week on Friday they'll add a 10% reward to whatever money you save, up to $500 per year. According to Chime, if you use your Chime card on average twice a day you’ll save about $400 per year without even thinking about it! 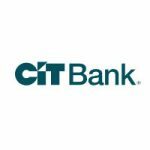 They also have cash back offers that will give you give you cash back when you use your Chime card at certain stores or categories of stores. The savings account only has a minimal .01% APR, but the rewards, cash back offers and automation of savings help to make up for that. Plus you can transfer your money out to another interest bearing account at any time. Read a full review of Chime Bank here. Get a $5 bonus to your new account by using this Chime sign up link. Tip Yourself is another free micro-savings app that encourages you to save for yourself first by giving yourself “tips”. o your savings goal in the app. You can use your digital tip jar to save for just about any goal that you can imagine. Whether it's saving for a vacation, to remodel your basement bathroom, using it as a swear jar or to save up an emergency fund, Tip Yourself basically gives you a place to make small transfers and save for specific goals easy. The app isn't as automatic as accounts with Digit or Qapital as they don't currently offer automated transfers. While that's a little disappointing I believe they have stated that they want users to stay more engaged with their savings decisions, and stay on top of their financial situation. I do believe they're looking at adding some more automated solutions for saving in the future, however. The app is currently for iOS only. The accounts above can help you to save small amounts of money over time in order to reach a larger goal. The investment advisory service below can help you to invest the savings that you've amassed – for no monthly cost or annual fee for most users! WiseBanyan's founders understood that one of the drags on the typical person's portfolios is the fees that they're paying to invest, as well as the friction point of having to invest thousands of dollars to start. They changed that with no minimums to invest, and no fees charged for investing. I have used WiseBanyan for a couple of years now, and have somewhere around $20,000 invested there free of charge. WiseBanyan has released a few premium add-on products for their users in the past few months, like tax loss harvesting, selective trading and IRA conversions, which they will charge a monthly fee of the lesser of 0.02% of your account value or $20. With that said, a basic investing account will have no cost beyond the mutual fund expense ratios associated with your investments. What do you invest in with WiseBanyan? WiseBanyan will invest your funds based on Modern Portfolio Theory (MPT). Your investments will be diversified, low cost and recognize the value of long term passive investing by investing in ETF index funds. So how can you use WiseBanyan in a way similar to Digit? You can set it up to do automated deposits into your account, to invest without thinking about it. So if you sign up for one of the automated savings accounts above, you can set up your WiseBanyan account to automatically invest the amounts that you're saving. Read a full review of WiseBanyan here. Get a $20 bonus to your new account by using this WiseBanyan sign up link. I've been a Digit user for a couple of years and the product has helped me to save thousands of dollars in that time. I love the idea behind Digit. The addition of a monthly service fee, however, means that the service wasn't as cost efficient for me as it used to be. I have now canceled my account. The good news is that there a ton of other free micro-savings services out there that can help you save money towards your goals. Free services like Qapital, Rize, Tip Yourself and Chime all have their own value propositions that can help you to improve your bottom line. If you are a Digit user and are looking for a new micro-savings service that will provide similar value at better price point, I'd recommend giving one of them a shot.